We've achieved 300 downloads! Thank you very much everyone! A download manager for Safari. That is it. I think that the name is self-explanatory. 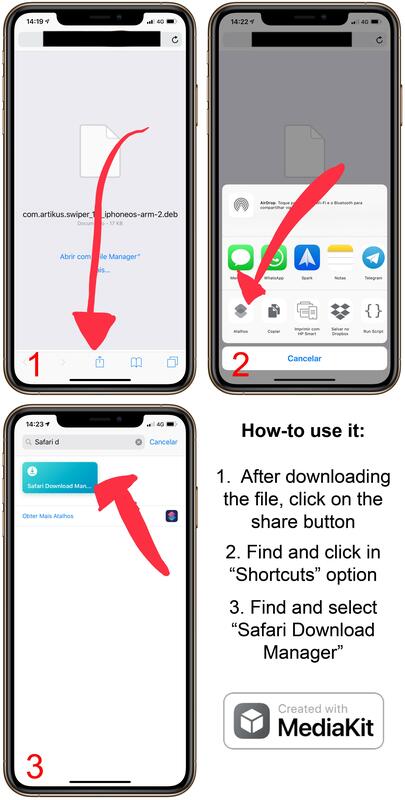 Compatible with UpdateKit, run the shortcut directly from the shortcuts app, click in "settings" and click in "update"
How to download files to it: Graphics made with MediaKit. How to see your downloads: Option 1: Run the shortcut directly from Shortcuts app and click in "my downloads" Option 2: After downloading a file, click in "see my downloads" and after in "my downloads"
3.6 - April 23, 2019, 5:24 p.m.